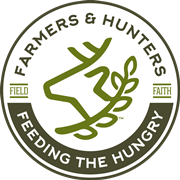 Special Gift Offer - Farmers and Hunters Feeding the Hungry - Hunt Down Hunger! Give just $20.00 to our hunger relief mission today and we'll send you the FHFH gift pack pictured below in appreciation of your support! 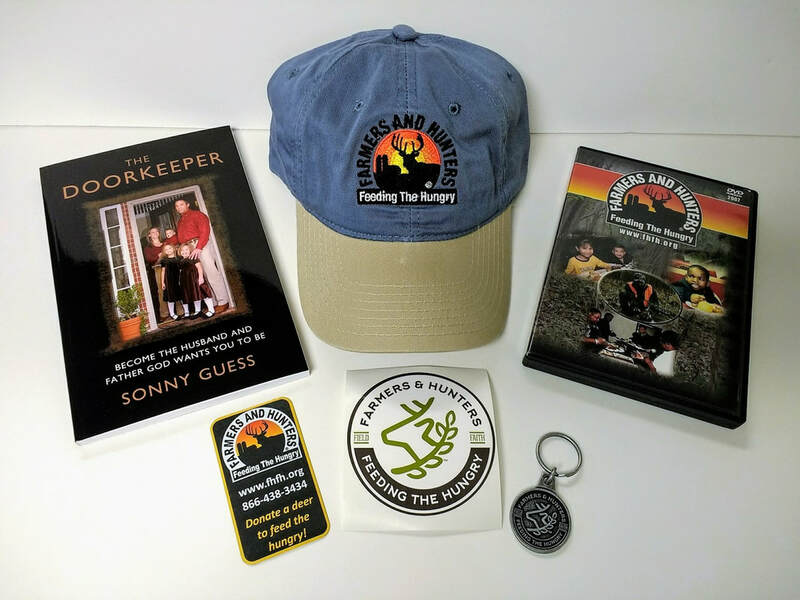 FHFH classic logo hat, DVD featuring several FHFH hunting videos, cast metal keychain, decal and refrigerator magnet. "The Doorkeeper" book by Sonny Guess. CLICK HERE to donate $20 to our mission today!